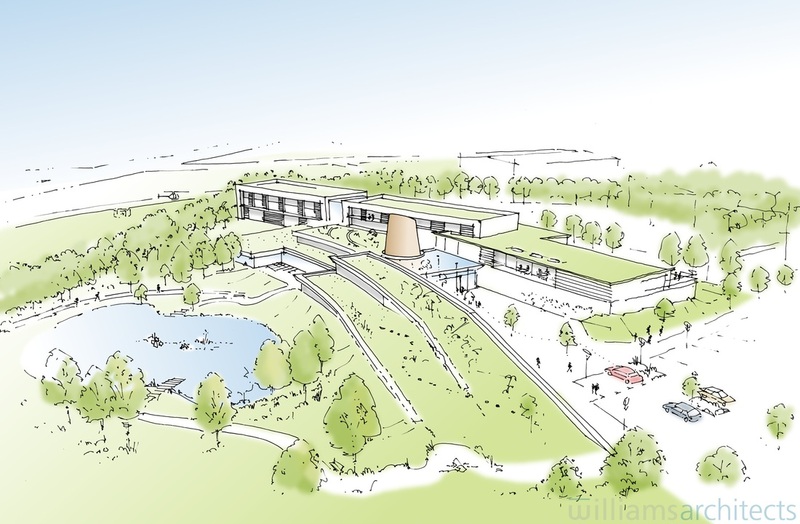 Innovo Health Ltd approached Williams-Architects in 2010 to develop outline proposals for a new, state-of-the-art hospital within Tollerton Enterprise Park, Nottingham. Working closely with Innovo, a consultant lead health care provider, a challenging brief was developed with sustainability and an improved patient experience at its heart. Innovo had developed a broad brief that included day surgery facilities, with cutting edge recovery units, in-patient bedrooms, a diagnostics unit, and consultant and treatment rooms, totalling around 11,000m². Alongside this brief came the ethos of biophillic design. The hypothesis of biophillia suggests that there is a beneficial link between the natural environment and patients, and that a hospital which is connected to the external environment will provide improved recovery times for patients and a more pleasant working environment for staff. Taking Innovo’s aspirations as a starting point, we designed a hospital scheme to make the most of the open surroundings offered by the site’s rural setting. After exploring various concepts and plan configurations, we developed a plan which fragmented the hospital into four smaller elements and arranged these around a large central atrium. Breaking down the hospital into smaller elements has allowed us to bring the landscape in-between and over each element, creating opportunities for patient gardens and terraces, as well as views across the wider landscape. 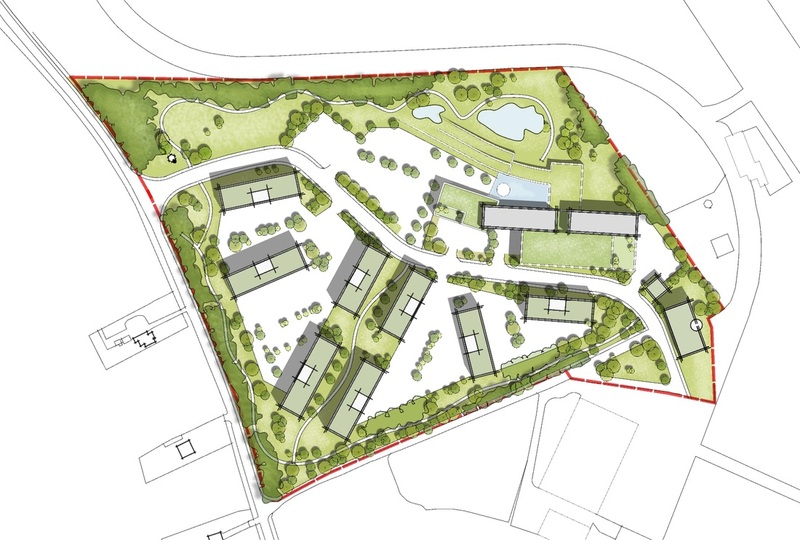 The scheme has received Outline Planning Permission.